On your western Caribbean cruise vacation, if your ship docks at Roatan Honduras, you will find many interesting, fun activities to pursue on our beautiful, charming island. Your cruise ship offers many shore excursions to enjoy, but for those of you who prefer to make your own day, Roatan offers many interesting things to do. There are plenty of scuba dive operators, and our beaches are great for swimming, snorkeling, and sunbathing. Renting a car, motorcycle, or moped can provide you with the means to explore all the hidden places and see the island as it really is; since there is only one paved highway on the island, it isn't easy to get lost. Or you can hire a taxi at the dock to take you where you want to go. 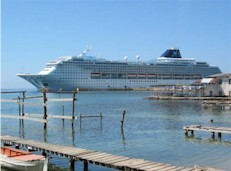 Roatan has the best shore excursions for your cruise vacation. Sueno del Mar in West End Village has packages for Cruise Ship Visitors. Las Rocas Resort, West Bay Beach; excellent restaurant with international cuisine. Radical Catamaran Adventure - First class sailing and snorkeling adventure on Roatan's uncrowded pristine east end. Roatan Culture Charters - Roatan's Best Sport Fishing Charters, Snorkeling, Sunset Cruise, Dive Charters, Crawfish Rock, Cayos Cochinos & Utila. B.J.s Backyard - Take a Scenic Tour of Oak Ridge, Jonesville & Mangrove Canal; ice cold drinks and great island food. Spa Services at Spa Baan Suerte on the beach in Sandy Bay - Massage, facials, and more with a swimming pool, too. Murphy's Roatan Tours - Exciting island tours including zip line adventures. Theris' Roatan Tours - Private guided excursions in air conditioned vehicles to Roatan's attractions, activities, and sights. The Cameo Factory in Coxen Hole near the cruise ship dock. 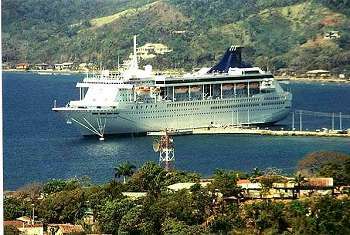 Before your Cruise, here are some interesting books about Roatan to read. Vehicle rentals usually include a map of the island showing the locations of all of these places. We recommend that you bring sunscreen, insect repellent, a small bottle of water, and wear loose fitting, comfortable clothing for your Roatan tour. Below are links to pages that describe many of the places you will want to see. Also, there are links to car and motorcycle rental services, so you can check for prices and availability from your home before you embark on your cruise. 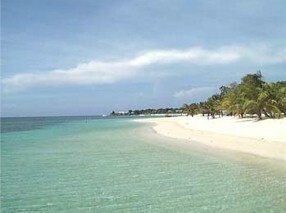 Roatan Beaches - We have beautiful beaches all over the island! directly through the service providers' web sites.